Admissions to UKAT rehabs for video game addiction are up 214% (from 2015 to 2018). 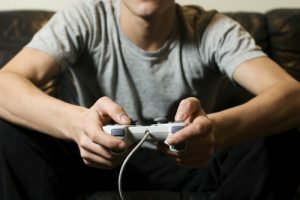 The BBC current affairs programme, Victoria Derbyshire, investigated the growing trend for people seeking rehab and counselling for gaming disorder. Their report included insights about video game addiction from UKAT rehab client, Sean*, and UKAT Senior Therapist, Matthew Preece. Sean received residential addiction treatment at Primrose Lodge for video game addiction. He told the Victoria Derbyshire show about his experience, including the worst consequences of his addiction to games. “It was escapism for me. If I wasn’t gaming, I was thinking about gaming,” Sean said. “At the absolute worst, my gaming was pretty much all day, every day. My children were like an inconvenience because they wanted my time. I wasn’t able to give them my time and my love. I remember shouting at my partner, telling my children to go away. The dog used to come and sit next to me because I never used to take the dog out. UKAT Senior Therapist, Matthew Preece, told the Victoria Derbyshire programme about the reasons why more people are now seeking help for video game addiction. 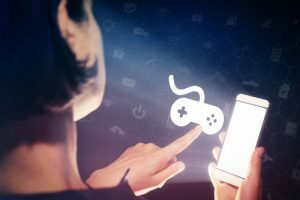 “There’s some good research out there to show that games are designed to engage people in such a way that creating an addictive process is more likely,” Preece said. Video games with compelling characters, quests with challenges and rewards, points accumulation and leader boards, role play and multiplayer functionality, pull people into online worlds which some find it difficult to leave. As video game addiction sets in, real life may seem unfulfilling, boring or depressing, in comparison to virtual worlds. People also get addicted to gaming, as a means of escaping pre-existing trauma or pain. Preece also highlighted on Victoria Derbyshire that the accessibility to games is a factor in why more people are getting addicted. Games aren’t just available via consoles now. People can play them on mobile phones, tablets and laptops. There’s 24/7 access to online games, as long as you have an internet connection and a smartphone, which most people do. Lastly, Preece explained that video game addiction is more in the public consciousness now. 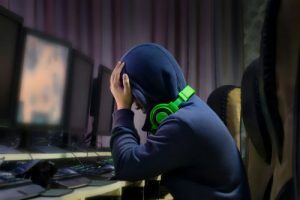 Since the World Health Organisation included gaming disorder in its International Classification of Diseases, public awareness has increased, in part due to expanded media coverage worldwide. At UKAT, we treated 7 people for video game addiction in 2015. This increased to 22 clients in 2018. Although our treatment population for gaming disorder is still small compared to substance addiction, we are yet to see whether this problem grows significantly over the coming years. Indeed, the consequences of gaming addiction can be severe – including mental illness, broken relationships, lost jobs and financial hardship. As with every addiction, when the use of anything becomes compulsive, people suffer. At UKAT, our therapists are skilled in a wide range of addiction treatment modalities, which are effective with all addictions, no matter the type. If your life has been taken over by video game addiction, please get in touch for help. The Victoria Derbyshire report on gaming addiction is available to view on BBC iPLayer until 11th April 2019 (the report begins 25m 35s into the programme). *Sean’s name has been changed to protect his identity.